The Bendigo Tramshed, Tramway Offices and Powerstation were built in 1903 for the Electric Supply Co of Victoria, a subsidiary of The British Insulated Wire Co of Prescot, England. The electric tram system came after years of limited success using electric battery (1890) then steam traction (1892-1903). The buildings constructed include the tram offices, the depot, workshops and the power station adjacent. The infrastructure built at the same time by the same company included overhead and underground cabling, ornamental tram poles and tram tracks. The tram system was run from 1903 until 1934 by the Electric Supply Company. The State Electricity Commission of Victoria ran the tram system from 1934 to 1972 when the service officially closed. Since then the trams have been operated as a tourist venture by The Bendigo Trust, a philanthropic organisation. The Bendigo tramways complex is of historical importance to the State of Victoria. 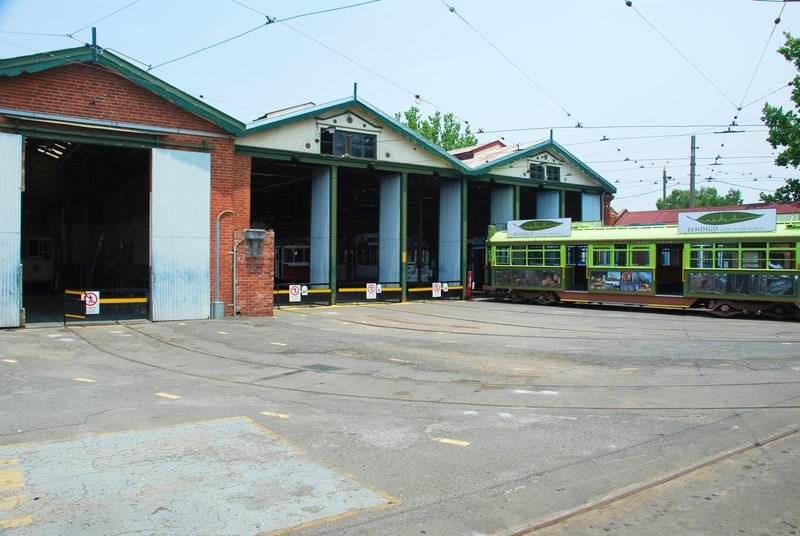 The Bendigo tramways depot, offices and power-station complex is historically important to Victoria as the earliest and most complete tramways infrastructure to survive in the state, and as the only surviving provincial city tramways infrastructure in Australia. The tramshed is also of technical interest as an early form of steel truss construction with the supporting columns being made of paired tram rails. 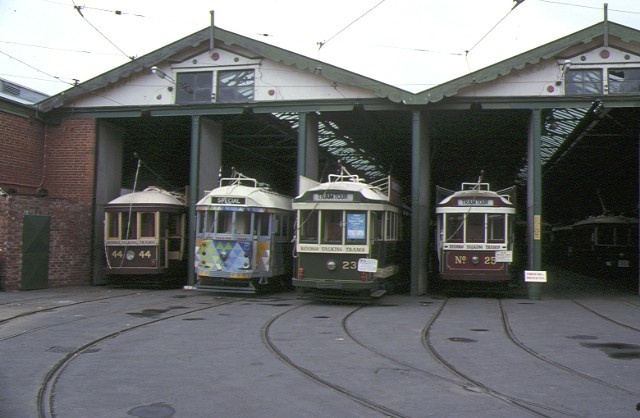 The whole complex is of architectural interest for its typological rarity as the earliest surviving designed electric tram depot complex in Victoria and possibly Australia. 1. All the building known as the tram shed marked B1; tram shed offices marked B2; tramways general office marked B3; former power station marked B4; on Diagram 603537 held by the Executive Director. 2. 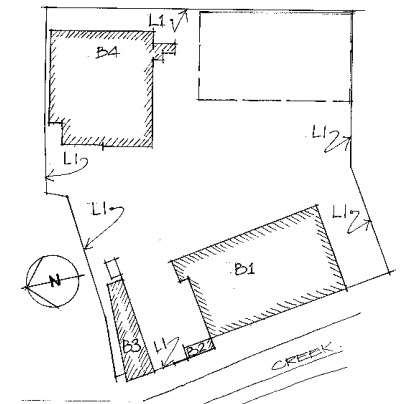 All the land marked L1 on Plan No. 603537 held by the Executive Director being part of the land shown in Certificate of Title Vol. 9793 Folio 158. The development of an urban transport service started with the use of horse drawn cabs, then progressed to horse drawn buses and trams. These were replaced by mechanical traction devices such as the steam engine or cable car haulage (in use from 1873 ). In turn this was replaced by the electric traction and the internal combustion engines. The first successful use of electric traction was in 1879 when a battery powered locomotive operated at a Berlin exhibition of 1879 . This form of traction was never really successful due to the weight of the batteries required. More reliable was the steam engine which had been evolving since early in the 18th century and reached a peak in the late 19th century at which time the development of electricity in suppliable form started. Electricity was first generated in large quantity at power stations set up for use in tramways and street lighting and consequently became available for nearby industrial and commercial uses. Power was supplied on a contractual basis with the power company maintaining the electrical device as long as the payments for supply were kept up. Even midway through the 20th century some domestic appliances were supplied by power companies on this contractual basis. Power stations sometimes combined to produce a grid supply of power in a local area such as in inner Melbourne. In 1918 the State Electricity Commission (SEC) was formed and by 1924 power was being supplied from its large generation plant at Yallourn. Several decades of infrastructure building were required to bring electricity to outlying areas of the state and even recently local council areas were still operating their own power distribution plant. With the formation of the SEC, power became supplied on a grid. Commercial and domestic supplies were able to be standardised and the SEC as the state monopoly were able to pull back customers who had previously been supplied by the smaller power plants. The SEC also had the ability to acquire all privately operated power stations. During the 1890s and the first two decades of the 20th century, electric tramcars replaced horse drawn vehicles in Europe and the United States. Between 1902 and 1917 electric cars rapidly replaced horse-drawn in the United States. The motors improved in efficiency, the car bodies changed from timber to steel and the weight and carrying capacity of the tram car increased. Apart from Britain where there was a predominance of double-deck cars, most tramcars were single deck affairs. They drew power from either a trolley pole or adjustable and collapsible pantograph. Other systems included underground power rails contacted by dropped brushes from the tram. The decline in use of tram systems has inversely mirrored the rise of the automobile. the decline set in during the 1930s and by the 1950s Paris, London and most of the United States no longer operated street trams. Some major American cities such as Boston, Philadelphia and San Francisco operate tram services but these are on a limited basis. Many European cities still operate their tram systems with notable services being in Lisbon, Amsterdam, Vienna, Prague, Torino, and Rome. In May 1887, the Councils of Sandhurst and Eaglehawk held their first conference to discuss joining the two centres by a public transport system. After public discussion of the options the horse-draw option was abandoned. The talks resulted in no fixed proposition and by the end of 1887 the conference was seeking tender proposals from operators. Three proposals were received and they involved horse drawn services and some use of a cable system. None of the proposals were accepted and the conference started to look more favourably on a battery powered system. The details of a battery system was tabled in April 1888 and tenders called. The Melbourne firm of Booth, Ellson and Co were the only tender. This was accepted and the Sandhurst and Eaglehawk Tramway Co was formed. Ellson travelled to England to order equipment which arrived in October 1889. The first full tests of the new equipment were carried out in April 1890 with poor results. The service proved to be a poor performer and by late September 1890 the service was discontinued. The assets of the company were bought by the Bendigo Tramways Company Ltd (BTC). The BTC proposed steam power as a replacement to electric traction and by February 1892, steam motor trams began operating. Despite their success with the operations of the steam tram fleet. the BTC failed to show an appropriate level of profitability. In 1899 the English owned British Insulated Wire Co. bought out the BTC. The assets acquired included the Mollison St depot but this was considered inadequate. A new tram depot and power station were constructed (this being the present structure). Construction of a depot, offices, workshop, stores, generating plant and substation commenced in 1901. By late April 1903 a regular electric service had commenced and incorporated Eaglehawk, Quarry Hill, Bendigo Railway Station, Golden Square and Lake Weeroona. Thus Bendigo became the first Victorian city to pioneer the use of electric traction trams. The SEC which came into being in 1918, were eager to acquire the power plant owned by the Electric Supply Co. (ESCo) but in so doing had to acquire and operate the tramway service which was operating under a 30 year contract with ESCo. The Act of Parliament which had set up the SEC had to be amended to accommodate this situation along with similar arrangements in Geelong and Ballarat. ESCo continued to operate the trams under SEC supervision until mid 1934 when the franchise expired. The SEC then put in a renewal plan for the service with overhead cabling being renewed and a further 3 miles of track laid. Second-hand cars were also acquired for the service. During World War II the service was extended to the new government ordnance factory at North Bendigo (Emu Point). The regular services operated by the tramway finally ended on April 16th, 1972. The Bendigo Trust , a philanthropic body was granted the rights to operate the tramways as a tourist venture on a two year trial basis in September 1972. In mid 1977 the Bendigo Trust acquired the Bendigo trams from the SECV for the sum of $1.00. The depot and power station were acquired on behalf of the Trust by the Bendigo City Council some 10 years later. The remaining items of infrastructure, the poles, overhead wires, underground cabling and rails were transferred to the Trust in late August 1992 for the sum of $1.00. affect the external appearance of the building, is permit exempt. the rear of the main office is permit exempt.